Hi All! 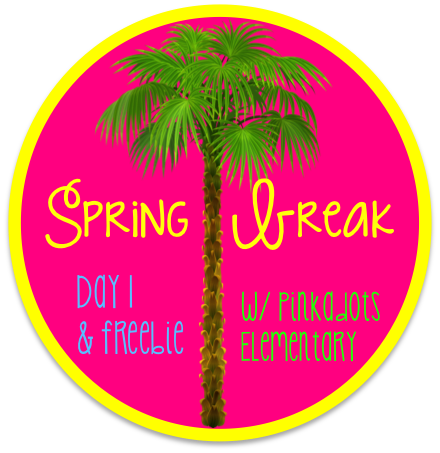 We are so excited to be on Spring Break this week. We made a pledge to blog EVERYDAY this week and include a freebie since we have been neglecting our blog for so long. Have you had your break yet? It seems like Connecticut takes it later than everyone else, but we FINALLY had sunshine today, so I am NOT complaining! So anyways, have you checked out the teacher resource book, Making Thinking Visible? It is one of the few books I was able to read from cover to cover this year and actually go back to reference some of the awesome strategies. This year my classroom is full of visual learners, so I LOVE anchor charts. I make them for EVERYTHING and my students always ask, during bus dismissal, to help me with the next day's charts. Normally I am a control freak and don't let them touch my markers or charts, but I am learning to let go...slowly. I had an observation this week and incorporated two strategies from this book, Chalk Talk and Think, Puzzle, Explore. Not only was my principal super impressed with the students taking charge of their own learning, but so was I. They were engaged, motivated, and excelling in every way possible. So check out what I did below. We are studying legend writing and while doing this, the students need to incorporate phenomenons. In order to incorporate a phenomenon, students need to research it and be knowledgeable on the subject. I decided to use Chalk Talk on different nonfiction phenomenons to spark student interest, help them decide which topic they'd like to research further, and inspire questions. I set the timer for two minutes per station because I had five stations and didn't want this to take ALL day. That was a perfect amount of time. I really like that my students learned to question each other on paper. If they didn't agree with a fact or couldn't answer a question, they would circle it. This REALLY helped on the next activity. After we finished this activity, I quickly taped up all the charts. 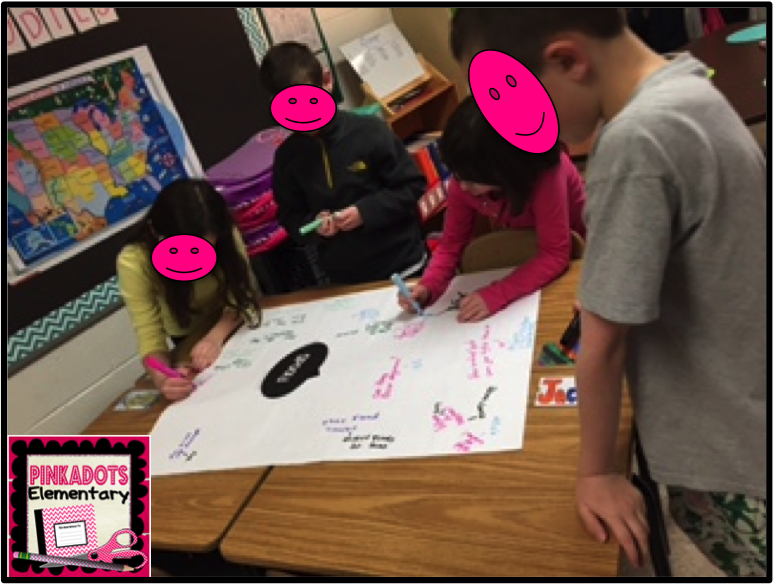 The students looked for commonalities, things that surprised them, and discussed with a partner how this activity would help them write a legend. Students then chose one of the phenomenons to further study. They were allowed to pair up with a partner, if they found someone who was researching the same phenomenon. They could also work alone. They were going to keep track of their new learning using another strategy we've been working on (from the same book) a Think, Puzzle, Explore graphic organizer. Since we've done this before as a class with tsunamis, students were ready to go on their own. Think: what the student thinks about the topic, this can be incorrect because it should be proved in the research. Basically all the thinks were already written on the chart paper during Chalk Talk. Many students used this resource and brought their organizer right up to the chart. Puzzle: Questions the students can come up with on the topic to further their understanding. 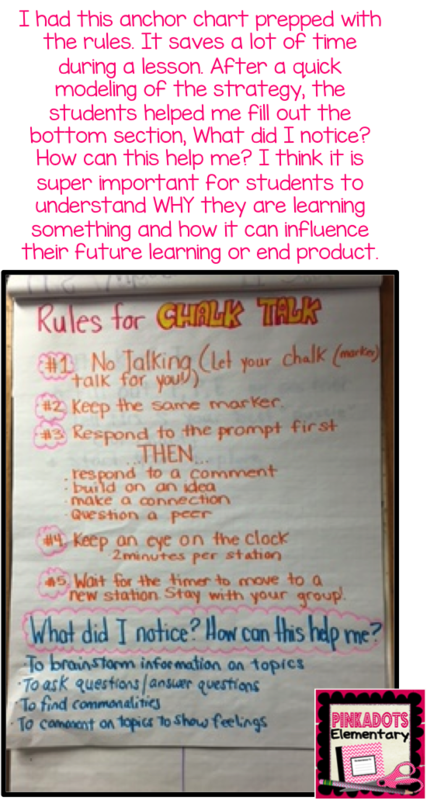 These questions were circled during Chalk Talk, so once again the charts were referenced. 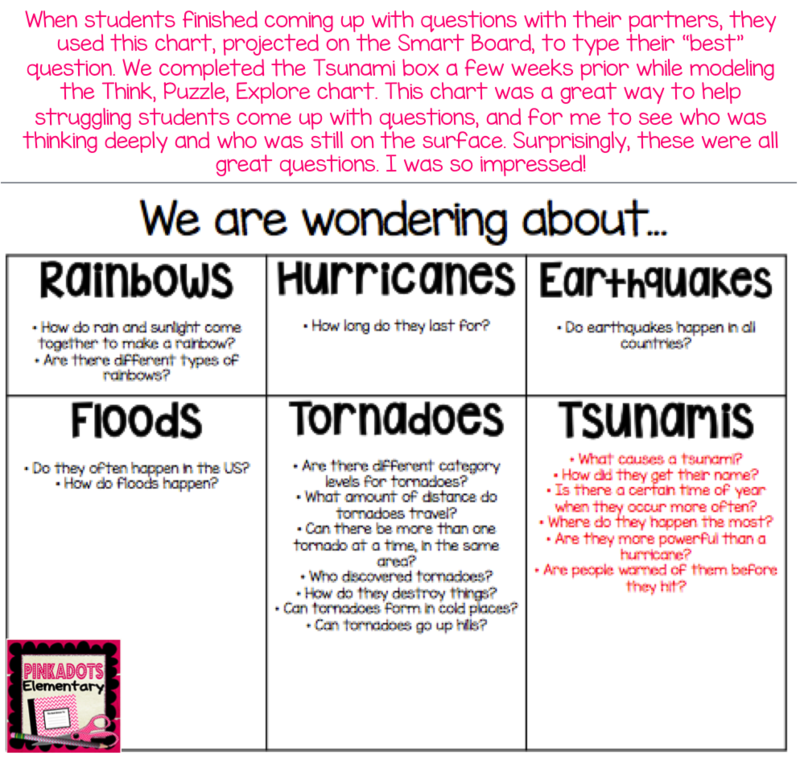 Explore: How is the student going to answer their questions? Internet research, books, nonfiction text, friend? The back of the page was for their new learning. 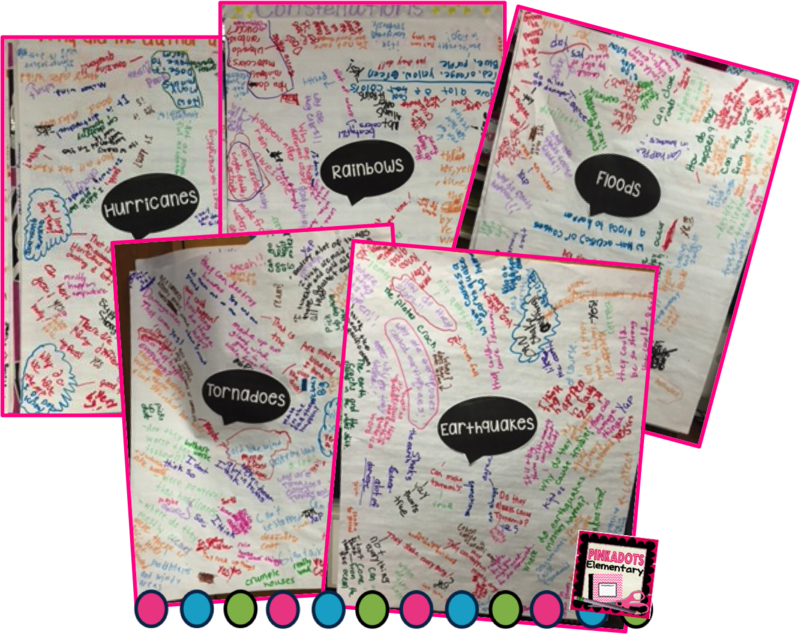 Students answered their questions through research and used bullet pointed notes. These notes will help them when incorporating nonfiction into their narrative legend. Just in case you think you can use the Think, Puzzle, Explore graphic organizer in your classroom, I'd love to share it with you on Google Docs. All you have to do is click here and download it for free. I would love to know how you plan on using it in your classroom or if you have read this awesome book.